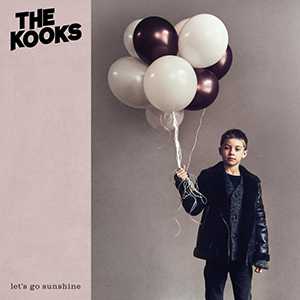 With the roar of their recent sold-out UK arena tour still echoing in their ears and more than one billion streams under their belts, The Kooks reach to claim their place in the Great British Songbook with ‘Let’s Go Sunshine’. It’s a bold longplayer that distils their timeless sound into its purest form while pushing it forward into a more expansive and mature space. It’s as moving, energising and timelessly melodic record and incisive in its portrait of modern British urban life. The heart and soul of the record lies in its hymns of lost innocence, fading relationships and the process of break-up and recovery. It’s the sound of an ambitious, confident band stepping out and making a statement with their definitive album. This entry was posted in Featured Album and tagged kooks, lets go sunshine.